The 11th edition of the Hong Kong International Wine & Spirits Fair concluded on November 10, 2018, with a record attendance. The fair, organized by the Hong Kong Trade Development Council (HKTDC), was held from 8-10 Nov at the Hong Kong Convention and Exhibition Centre (HKCEC) with a total of 1,075 exhibitors from 33 countries and regions presenting the finest wines, spirits and related products from around the world. Nearly 19,000 trade buyers from 73 countries and regions attended the three-day fair. There was an increase in attendance from a number of important markets, including Japan, Singapore, New Zealand, and Russia, while more than 24,000 public visitors aged 18 and above had the opportunity to taste and purchase wines at the Public Day on Saturday. Benjamin Chau, Deputy Executive Director of the HKTDC, said: "The 11th edition of the Wine & Spirits Fair saw exhibitors offering a wider array of wine and spirits for buyers from around the world. This year we saw exhibitors promoting a greater variety of drinks than ever before, including spirits such as whiskies, gins, and rums from Peru, Mauritius and Finland, as well as sakes and fruit wines from Japan and baijius and yellow wines from the Chinese mainland." Whiskies have seen a sharp rise in popularity in Hong Kong in recent years. Attention has primarily focused on the major brands from Scotland and Japan, but the willingness of people to try whiskies from other production areas and smaller-scale brands shows that the market is maturing. Exhibitors this year presented whiskies from many different regions, including Scotland, Japan, Taiwan, the United States, France, and the Czech Republic. Besides products from distilleries of various scales, a number of exhibitors also showcased whiskies from smaller independent bottling companies to suit buyers' needs. 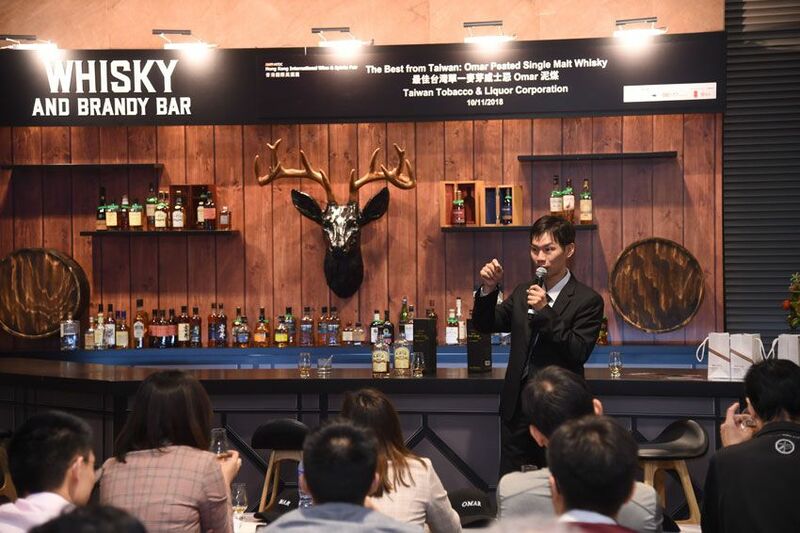 To provide the industry with a comprehensive trading and exchange platform, the HKTDC organized more than 70 events during the Wine & Spirits Fair, including seminars and tasting sessions for wines, whiskies, sakes, cocktails, and spirits, as well as food-pairing events. The Asia Wine Academy, co-organised by the HKTDC and the Hong Kong Polytechnic University School of Hotel and Tourism Management, returned for its second edition in 2018 under the theme "Seeking Greatness: Decoding Wine Quality". Featuring Masters of Wine Jeannie Cho Lee and Sarah Heller, the classes received an enthusiastic reception from fair visitors. The Wine Industry Conference held on the first day of the fair, under the theme "Driving Growth: The Flourishing Asia Wine Market", gave participants a new perspective on understanding the Asian market. The Chinese mainland market has seen strong demand for wine in recent years, especially for low- and mid-range mass-produced products, and the Wine & Spirits Fair provides the perfect place for Chinese mainland traders looking to source wine products. Charles Wu, General Manager, Hunan S E M Trading Co., Ltd, said: "French and Italian wines remain the popular items among mainland consumers, followed by those from Spain, Australia, and Chile. The Hong Kong International Wine & Spirits Fair is a good place to find new wines to enrich our offerings. I have already placed an order worth US$100,000 for red wines with an existing supplier from Italy and also found a new Italian supplier and a Spanish winery for a selection of red wines. I expect to purchase wines valued at about US$100,000 from each of them."